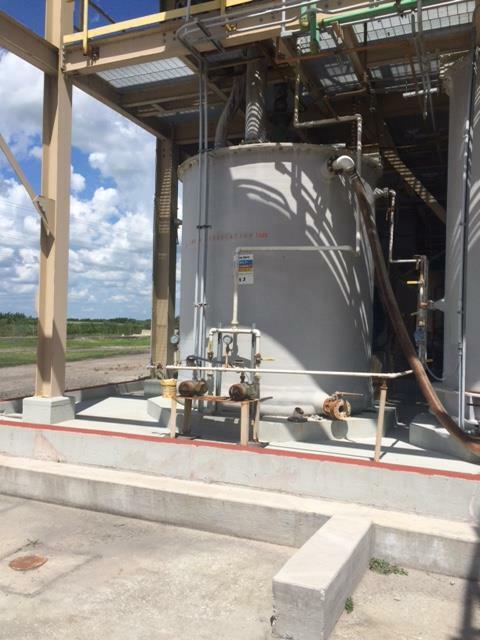 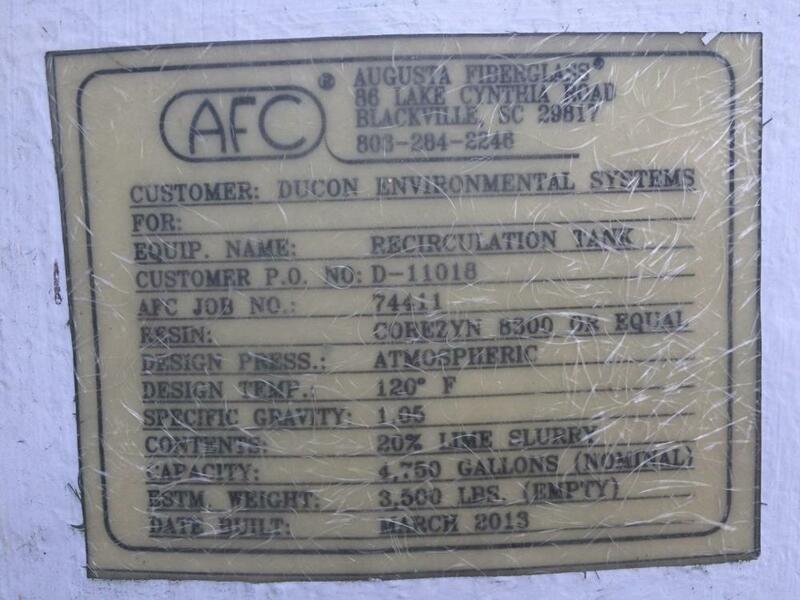 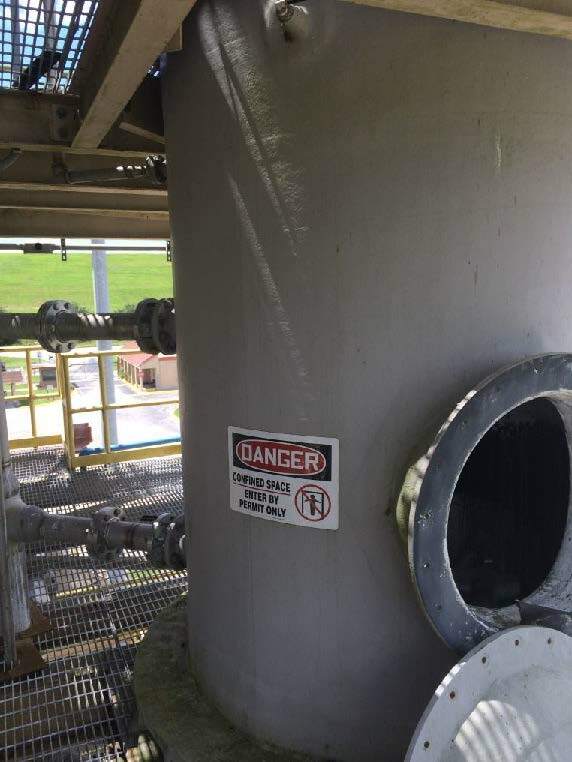 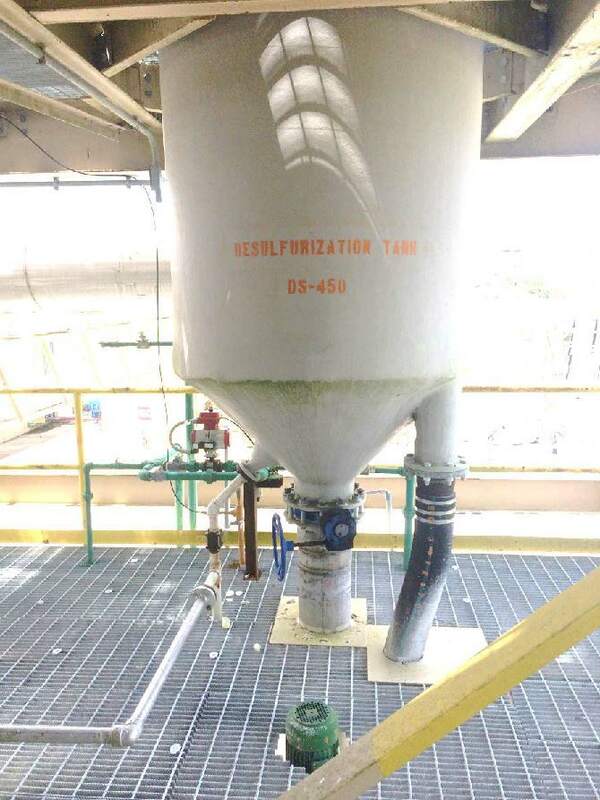 Ducon wet FGD (flue gas desulfurization) scrubber, includes (2) fixed Venturi rod decks, (3) spray curtains, internal lime slurry piping, and 3-stage final mist eliminator. 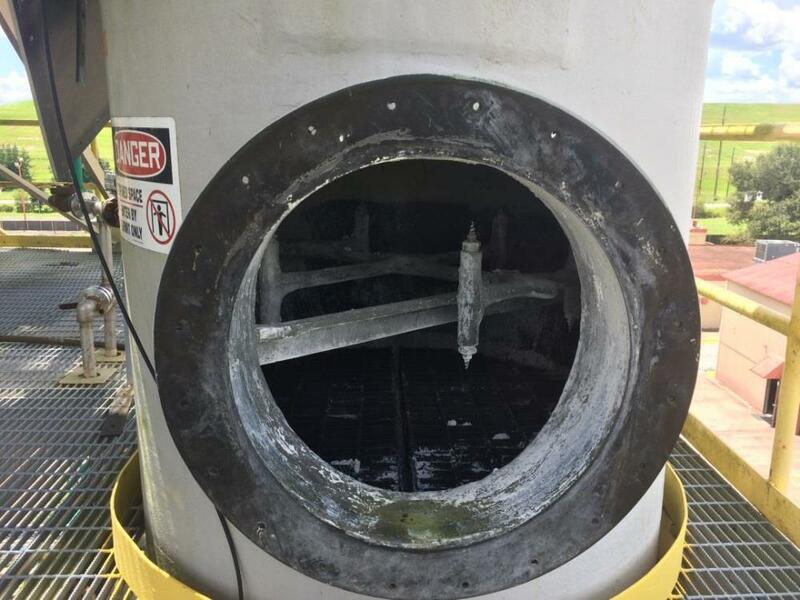 FRP construction, with cone bottom and flanged inlet/outlets. 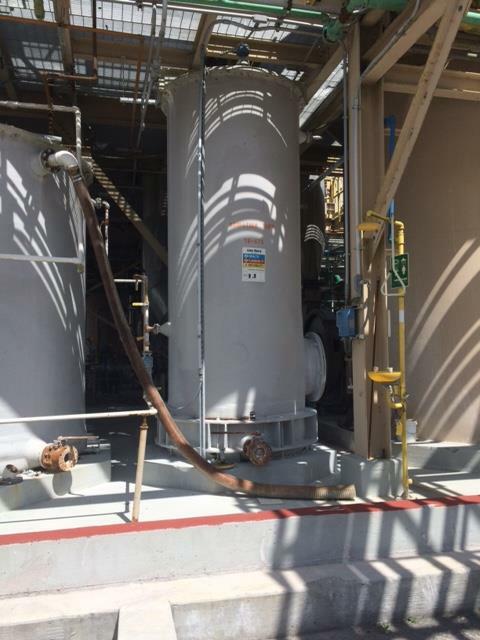 Complete with 1,800 gallon oxidation tank, 3,500 gallon recirculation tank, pumps and blowers. 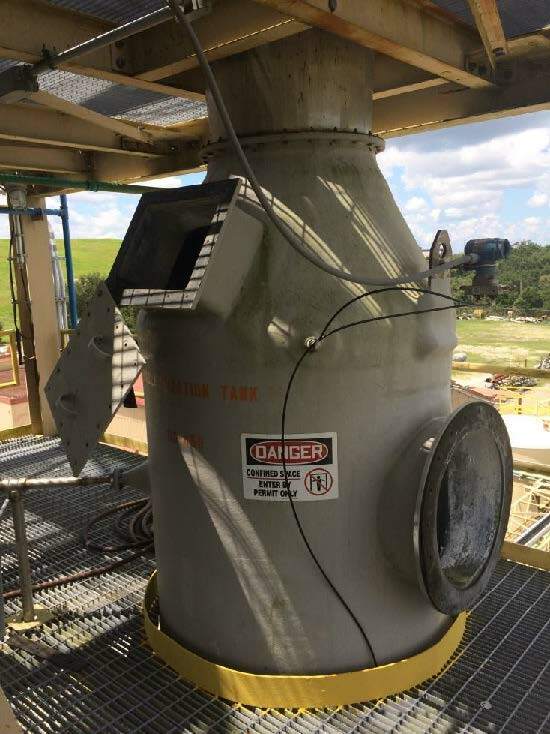 Rated for 9,250 CFM, 48 lbs per hour of sulfur dioxide, lime consumption rate of 5.85 ln per minute, expected efficiency of 95% of SO2.